If you haven’t already booked your tickets for the annual Rayleigh Art Group (RAG) Fish/Chicken & Chips Supper and Quiz Night, then now is the time to do so. This event is as usual in the Cedars Centre, Castle Road, Rayleigh and all members and their guests are very welcome.The quiz will start at 7.30pm sharp on Wednesday 28th March 2018 so please get there a little bit earlier. There is a charge of £7.00 a head and tickets are available from Val Belverstone and you should contact her as soon as possible as the food order has to go in very soon. Tea and coffee will be available but please feel free to bring your drinks of choice. Please be advised that your normal quiz master is indisposed and therefore there is a change of quiz master and as such the questions could be easier or harder, but whichever, we are sure you will have an enjoyable evening amongst friends. On behalf of the RAG Committee. 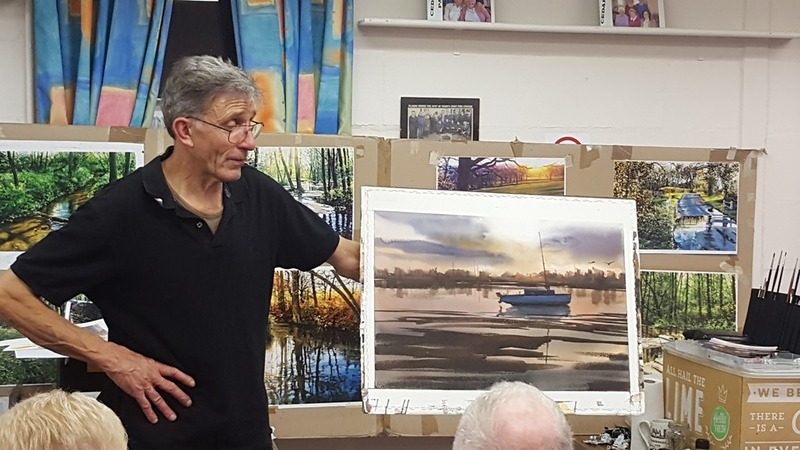 Following his visit last year, Liam McFalcon would like to thank Rayleigh Art Group members for supporting him during the difficult start-up period of his business. 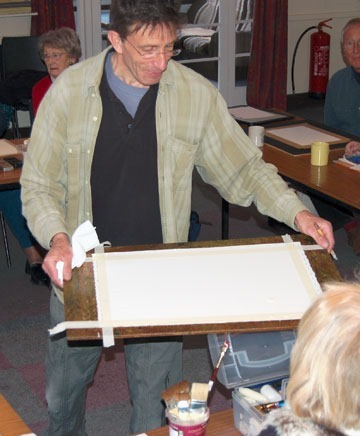 He would now like to offer Rayleigh Art Group members a discounted rate for his first Essex-based event. 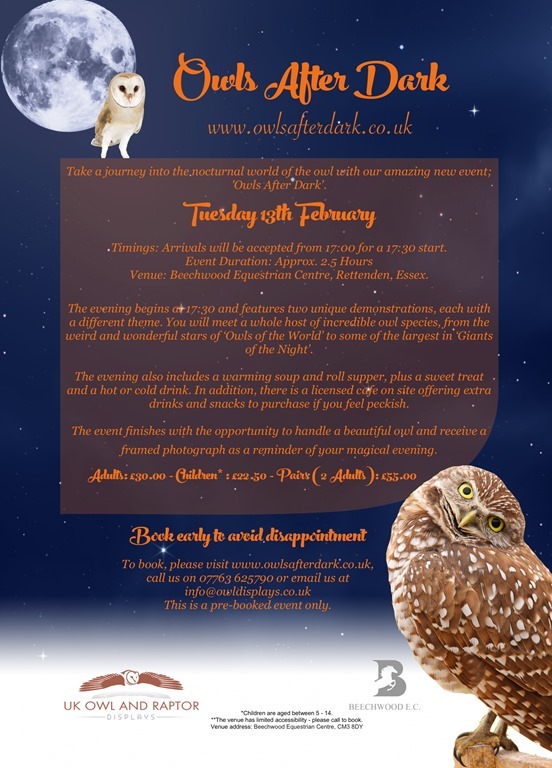 ‘Owls After Dark’ takes place at the Beechwood Equestrian Centre in Rettendon on the 13th February. Featuring two Owl demonstrations with special lighting effects and a classical musical accompaniment, plus a soup and roll supper and a sweet treat. It also includes the chance to hold an Owl and take home a framed photograph of your experience. Please find attached a picture of his leaflet for more information. Tickets are normally £30 per person but he would like to offer you £20 a ticket for a minimum of six tickets to thank our members for their support. Please contact Colin Mossman to indicate your interest. A date for your diary, Wednesday 6th December 2017 is the Rayleigh Art Group Christmas Party so make a note. 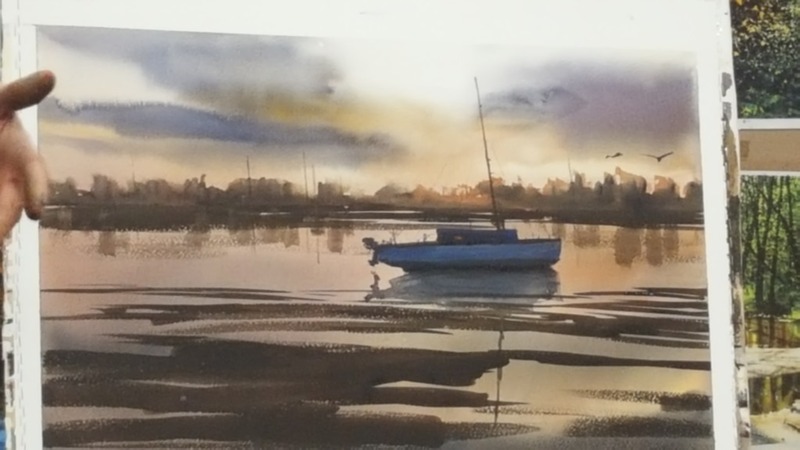 The evening will start at 7.30pm and all members and their guests are welcome to participate, you just need to bring some food and Rayleigh Art Group will supply the liquids. 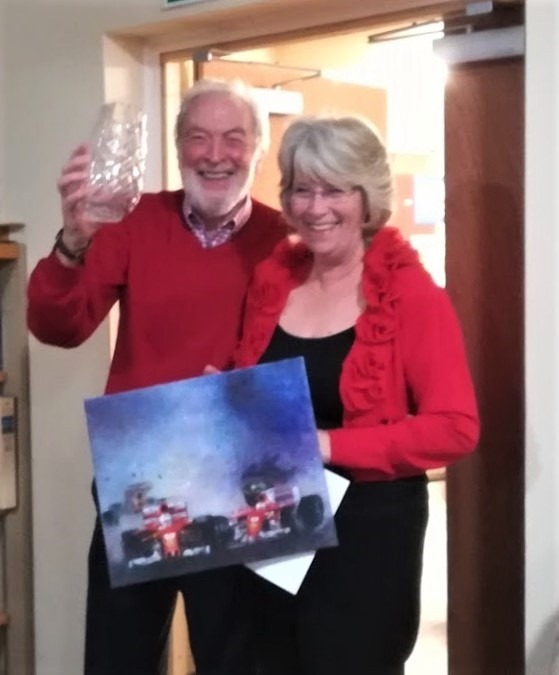 Do not forget your painting, entitled ‘A Question of Sport’ for this years competition – we hope a large number of you will have painted a picture for the competition! 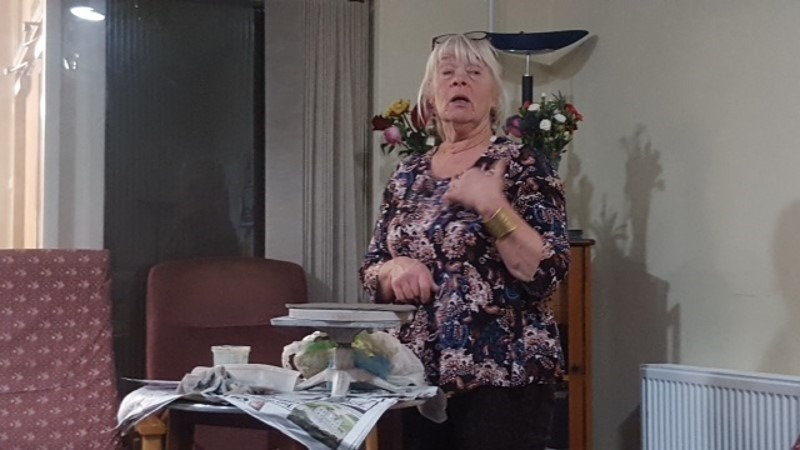 To make the evening more interesting, we have invited Sandra Hall a local Crafter specialising in Ceramics and Pottery to give a talk. 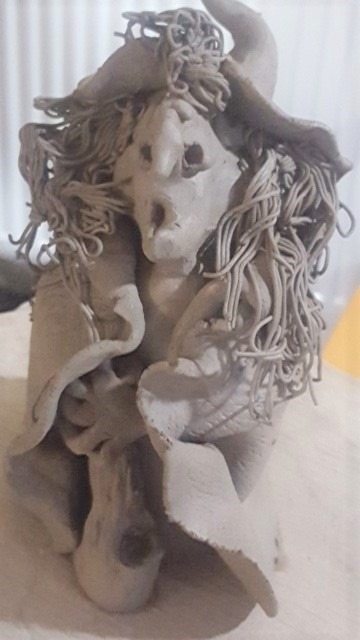 Sandra’s main creations are of characters emanating from Medieval and Victorian periods based on sketches by Gustav Dore, John Tenniel and Cervantes. Each piece is hand built and unique. Chess pieces based on Alice in Wonderland and Lord of the Rings. Her work includes a wide range of subjects, personalised house plaques and wall plaques, also fantasy subjects of your choice.